Does not specify which one? Also since you have Unwinding Clock then Lux Cannon could be decent removal if you do remove the spine and meteor golem. This is an obvious copy and paste of the Kozi list that Game Knights posted (Ashlen's Kozilek I Game Knights #24) with some minor changes so far, and that's fine and all but I think you should issue some credit to them in the description for where you found the inspiration and core of the list from. I'm not calling you out by any means, I just think you should link the source of what opted you to make these recent changes is all. At least do that until you get this deck into a state of finality and it molds into its own identity after you do some necessary tuning and playtesting with it. For starters, I think you need to add some more basic Wastes . I know that may seem like a weird suggestion being in colorless, but you're running Burnished Hart , Solemn Simulacrum , Thaumatic Compass Flip and Pilgrim's Eye . In the presence of those cards, as well as other effects that opponents often pack such as Path to Exile , Assassin's Trophy , and many others, only having 5 targets to hit makes those cards borderline useless at a certain point. I would recommend making some cuts to your utility lands in favor of 8-12 Wastes to get into a comfortable position to run the fetch cards you're using. 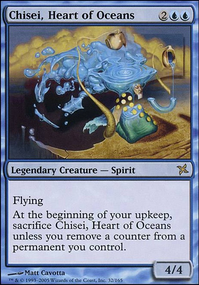 I personally am not a fan of Kozilek's Channeler because creature-based ramp is susceptible to boardwipes, and on top of that, a 5CMC 4/4 with summoning sickness that can only tap for two mana doesn't feel like a lot of payoff. I would recommend Golden Guardian Flip as an alternative sort of pet card because it has potential utility for removal, and you either use it as fodder and intentionally kill it to flip it, or you can activate it in response to a boardwipe to get a land that taps for two mana and begin spewing out 4/4 tokens. For the rest, I will just highlight the specific flex spot cards that you are running from the Game Knights list that I would recommend switching out to test other things: Energy Chamber , God-Pharoah's Gift, Lux Cannon , Nevinyrral's Disk / Oblivion Stone / Perilous Vault (unless you feel like you need a bunch of boardwipes), All Is Dust should be enough for you though), Orbs of Warding , Staff of Nin , Tamiyo's Journal , and Ugin's Nexus . These are all okay to run, but I think you should consider trying out other things to replace these slots. 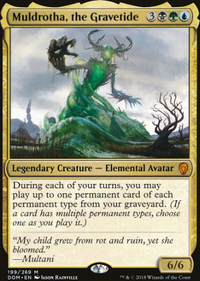 Here is a link to an EDHREC page for suggested cards you may be interested in. I'm not sure exactly what specific card suggestions to offer because I don't know what direction you want to go into. It's very important to have a considerate amount of ramp in a deck like this though. That should be your main priority in order to consistently get your commander and other threats out early. 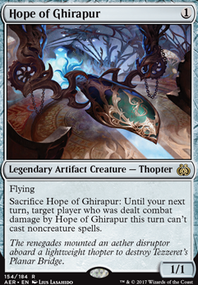 Magistrate's Scepter + Vorel of the Hull Clade is a combo for infinite extra turns if your opponents let you get to it. Thanks so very much for the +1. Its been a labour of love and sleepless nights. A card like Lux Cannon is a great card, but a tad bit slow for the type of build I'm going for. I need to be able to clash with a spellslinger and survive to strike the finishing blow. For it to be more efficient and faster I'd have to run alot more proliferate effects to support it Contagion Engine, Inexorable Tide and/or counter doubling effects Winding Constrictor, Pir, Imaginative Rascal which I'm currently not running. So it would be quite a stretch atm to fit that in, but saying that Winding Constrictor or Pir, Imaginative Rascal might creep back in at some point. Thanks for the recommendation though! Keep em coming! 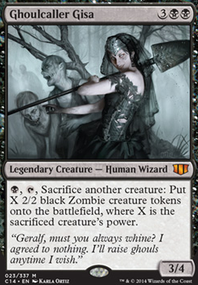 We want to streamline her to be able to win duels with spellslingers, clash with voltrons, and pierce through creature builds like butter! Awesome deck. +1 for sure. 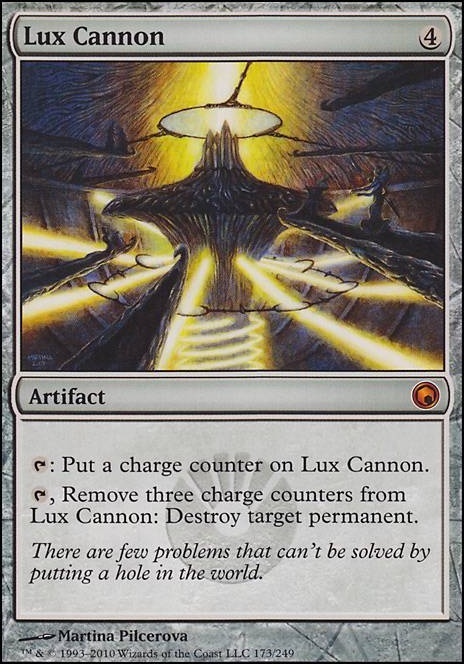 What about using some of Atraxa's proliferation effects and have a Lux Cannon in there for targeted removal of anything. 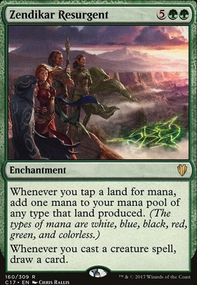 Found it really useful when I was running an Atraxa deck.